🚨 Update: Unfortunately, the workshop about the Good Country will be cancelled. We just received the news from Simon that the organisation is being discontinued. Instead, we’re hosting social drinks Thursday 20:00 at Stalles. First drink is on us! 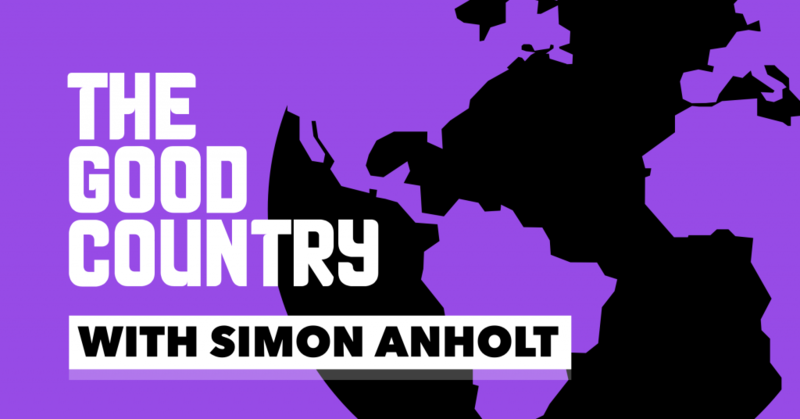 [German, Chinese and Dutch below] We’re exited to announce this special workshop about The Good Country with Simon Anholt! Simon is policy advisor, speaker, author of several books and founder of The Good Country as well as the Global Vote. The Good Country is a country defined not by borders but by values. A country made up of hundreds of millions of people around the world, all motivated by a shared desire to make the world work better. A country with the power to bring about real change in the international community. This event is a great opportunity for internationals living in the Netherlands to get involved in politics. We are DWARS, the independent youth organisation affiliated with political party GroenLinks (GreenLeft). Signing up for this event is not required, but we appreciate it if you leave your email address so that we know how many people to expect. Location will be published soon. Wir freuen uns einen speziellen Workshop über The Good Country mit Simon Anholt ankündigen zu können! Simon ist politischer Berater, Redner, Autor mehrerer Bücher und Gründer von The Good Country und Global Vote. The Good Country ist eine Nation, die sich nicht durch Grenzen definiert, sondern durch gemeinsame Werte. Ein Land bestehend aus hunderten Millionen Menschen aus der ganzen Welt, die alle motiviert sind durch ein gemeinsames Bestreben die Welt zu einem besseren Ort zu machen. Ein Land mit der Kraft echte Veränderungen herbeizuführen für die internationale Community. Dieses Event ist eine tolle Gelegenheit für alle Internationals, die in den Niederlanden leben und sich gerne mehr politisch engagieren möchten. Wir sind DWARS, die unabhängige Jugendorganisation der politischen Partei GroenLinks (GrünLinks). Ihr müsst euch für dieses Event nicht anmelden, aber wir würden uns freuen, wenn ihr auf Facebook auf ‘Zusagen’ klickt, damit wir wissen, wie viele Teilnehmer wir erwarten können. Der Veranstaltungsort wird bald veröffentlicht. Tijdens deze workshop zal er in het Engels gesproken worden. Nodig vooral je internationale vrienden uit om naar deze activiteit te komen!